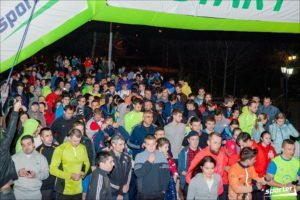 On the past 24th of March, AEGEE-Chişinău organised a run which involved not just students and teenagers but people of all ages. Here you can find all pictures of this very successful event. We interviewed Nadejda Hadjivu, from the Moldovan local, who told us more about it. The AEGEEan: Can you tell us something about the “Neon Night Run”? Why is there a word “Neon” in the title of the event? 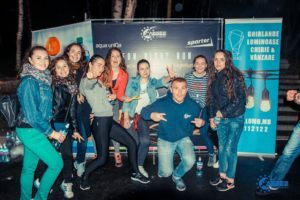 Nadejda Hadjivu, AEGEE-Chişinău: Neon Night was one of our older ideas that we decided to promote now and create such a unique event that had a great impact on all participants. Neon because it took place in the evening, as it was dark already and a Neon bracelet made the difference. Fun run, neon lights around accompanied by rain. Why did you organise this event? What was its aim? The main aim was to gather as many people as possible, to run together and to promote a healthy lifestyle in our network. How could a students’ association organise an event that attracted also workers and citizens? We created and promoted the event on Facebook and different media sites, everybody could participate (we even mentioned that in the description of the event). We encourage everybody to keep themselves healthy and in shape, not only the youngsters but also the workers and older people- one can run at any age. Did you receive a contribution from any sponsorship? 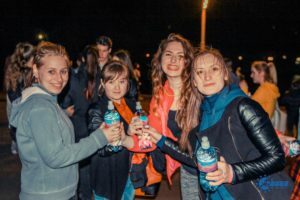 We had as a media partner, Sporter and Aqua Unica, who provided hydration throughout the entire event. Did many participants enjoy the run? Were there any requirements to take part in it? We had around 300 or even more runners. There were no requirements at all (only to have appropriate clothing and shoes for the run). Can you tell us who the organisers were? Nadejda Hadjivu, Ana Gancearuc, IX Dan, Aliona Iorgov and the local itself, everybody was involved as much as possible. Could you get any prize in this competition? This was not a competition, we run all together, the distance was five kilometres around the lake. Why did you choose Valea Morilor as location? Valea Morilor was perfect as a location, as it is situated in the city centre. There is a beautiful lake and it was also easy to measure, two circles around the lake made the five kilometres distance we had planned. It was easy to locate and everybody usually likes to go there for a walk or a run at the weekend. Do you think you will propose this event again? We saw that this made a big impact locally. Many people asked for a second edition and we are definitely going to organise it again, sometime in the summer. 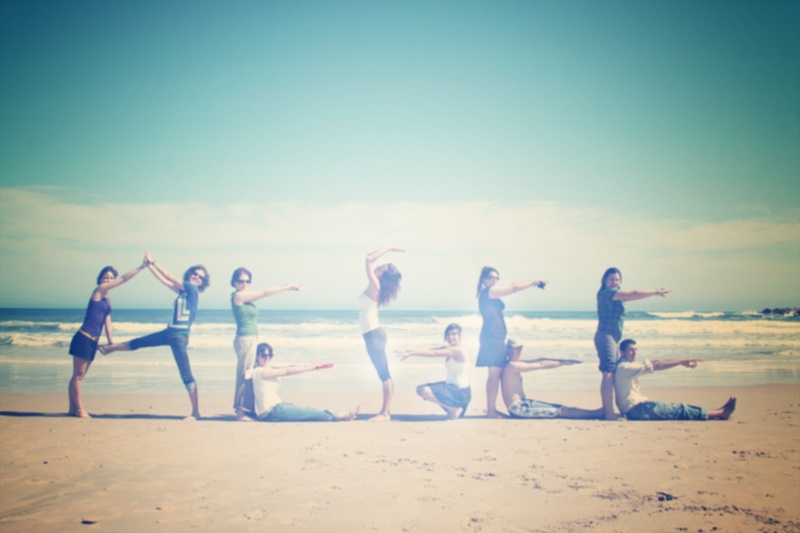 ← AEGEE-Düsseldorf, Local of the Month of February: Always Taking on Challenges!